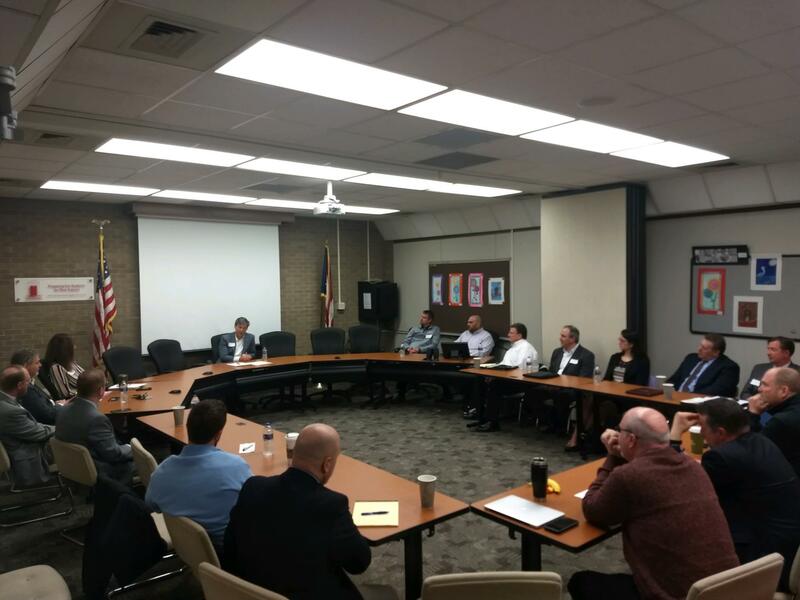 Ohio Senator Matt Dolan meaningfully engaged with local superintendents recently at a round table discussion that was hosted by the Brecksville-Broadview Heights City School District. Senator Dolan, who represents Ohio Senate District 24 as a member of the 133rd General Assembly, provided an overview of the budgeting process for the forthcoming Biennium Budget, and various financial aspects of the proposals that are being presented and discussed in Columbus. With approximately 20 Northeast Ohio superintendent’s present, Senator Dolan made brief remarks about a variety of topics and then turned the floor over to the participants. Superintendents presented Senator Dolan with a full list of questions, including the debate about public education funding, mental health and options to curb the opioid epidemic among others. In all, the Brecksville-Broadview Heights City Schools thanks Senator Dolan for using our District as the host site for nearly two dozen superintendents to provide a candid update about the Ohio budget and its implications on local school district.